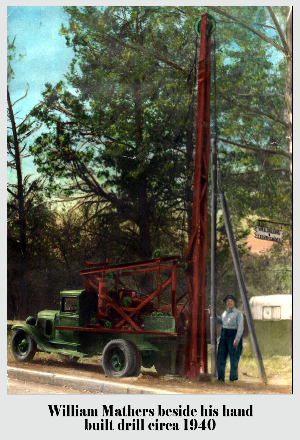 Mathers Drilling Company has been drilling wells throughout Central Oregon for almost 100 years. It spans four generations of well drillers - five if you count the newest member of the family who at 4-years-old occasionally helps drill when her assistance is needed. No other drilling company knows underground Central Oregon the way we do! While the majority of our drilling has been in Central Oregon, we have had opportunity to drill elsewhere in the world – something for which we are very grateful! When the recession of the early 80’s hit, we relocated to Anchorage, AK to ride out the crunch. We found drilling conditions in the Land of the Midnight Sun to be extremely challenging but it provided us with opportunities to hone our skills in ways we never would have otherwise. We gained invaluable experience in drilling and driving casing in hard, unconsolidated formations. We often draw on that experience when drilling in places here that have similar geological conditions. 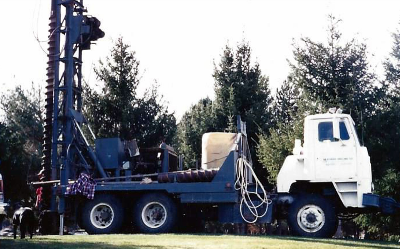 While drilling in the Sunriver/La Pine area is not as difficult as what we experienced in Alaska, we have often relied on the skills acquired there to drill a successful well here. The challenges of drilling in Alaska pale in comparison to the challenges of drilling in Bolivia. The actual drilling was relatively easy, but the real challenge lay in getting our drill to the job site. Just keeping the rig on the snaking one lane roads of the 12,000 foot high mountain passes was hair-raising as we navigated hairpin curves with sheer drop offs to the forest floor below. Many dusty roadside monuments were sobering reminders that not everyone had met the challenge, and in fact, one load of our casing is now rusting at the bottom of a deep ravine. Thankfully, the driver jumped from the truck before it went over the cliff. We spent three incredible weeks in a small drought-ravaged village, teaching the men to operate the drill. Working with the wonderful Bolivian people was a lifetime highlight and life-changing for our family. We are extremely grateful for the experience. We look forward to wherever our next drilling adventure takes us. In the mean time we love bringing water to Central Oregonians!